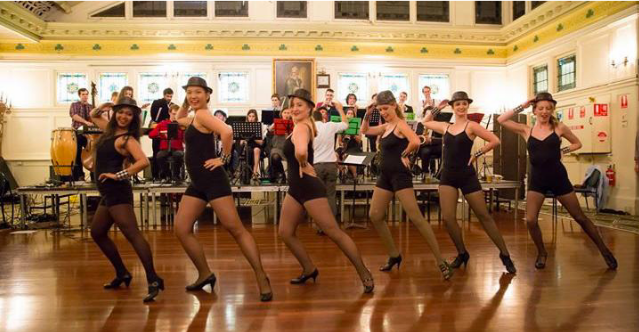 The Queensland Medical Jazz group is an up and coming group composed of medical students and doctors which now runs events throughout the year and features at other social events. Founded in 2012 after the first hugely popular Jazz Gala. It aims to provide another fundraising and community building environment, with the big band running events of a very different style to QMO and the smaller largely acoustic coffeehouse. The premier event is the sit down dinner Jazz Gala where students, guests and members of the public dress up and dance the night away. In past years this event has featured a raft of our best solo vocalists, instrumentalists and dancers performing a mix of jazz standards and modern classics. In order to cater to a different audience QMJ also puts on a more casual Jazz Night. The inaugural event was held in 2015 and was a huge success. 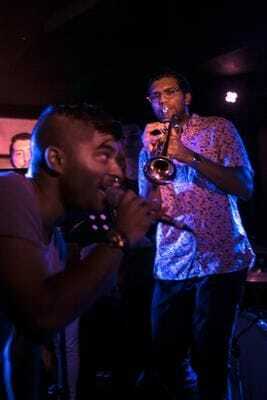 These more intimate and laid back functions are held at bars around Brisbane and feature a handpicked blend of music. All the proceeds raised by QMJ go towards Ashintosh's initiatives in health education and promotion as well as to local Brisbane school music programs. We look forward to seeing you at our next event. Find out about our next gig at Upcoming Events.